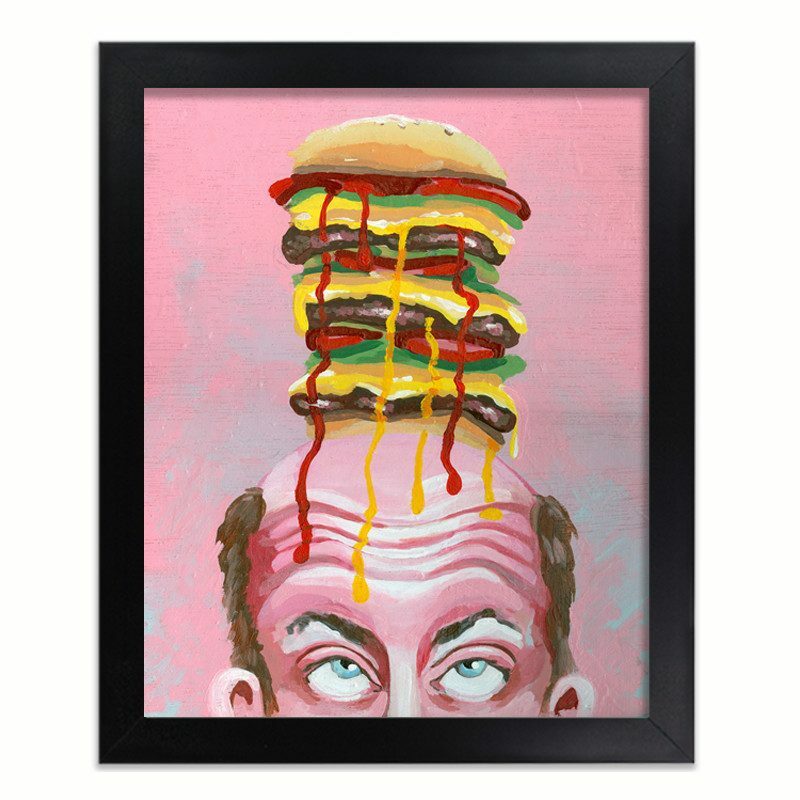 FROM THE ARTIST: One day after work I was really craving a burger. I drove to McDonalds and saw the ad for the Double Big Mac in the window. The person who gave me my burger was bald. 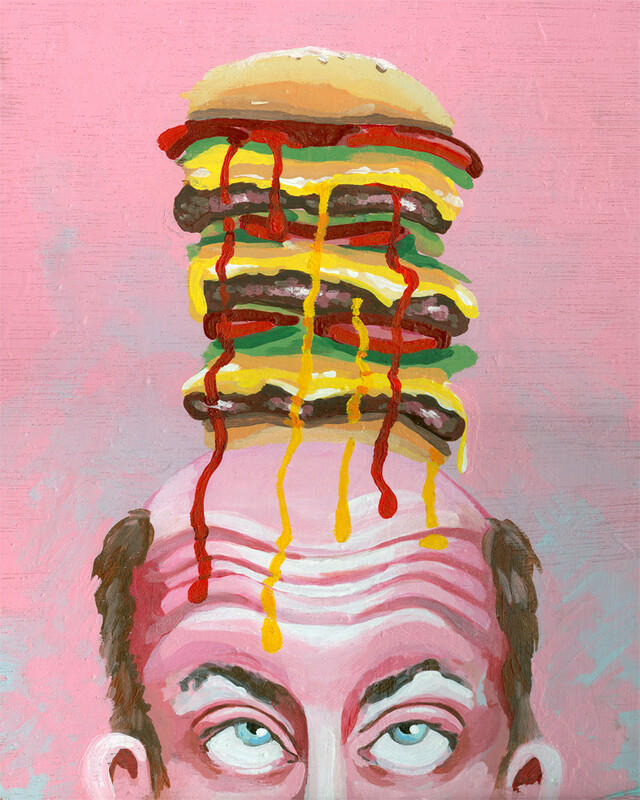 This inspired me to paint a man with a larger-than-life hamburger on his head. 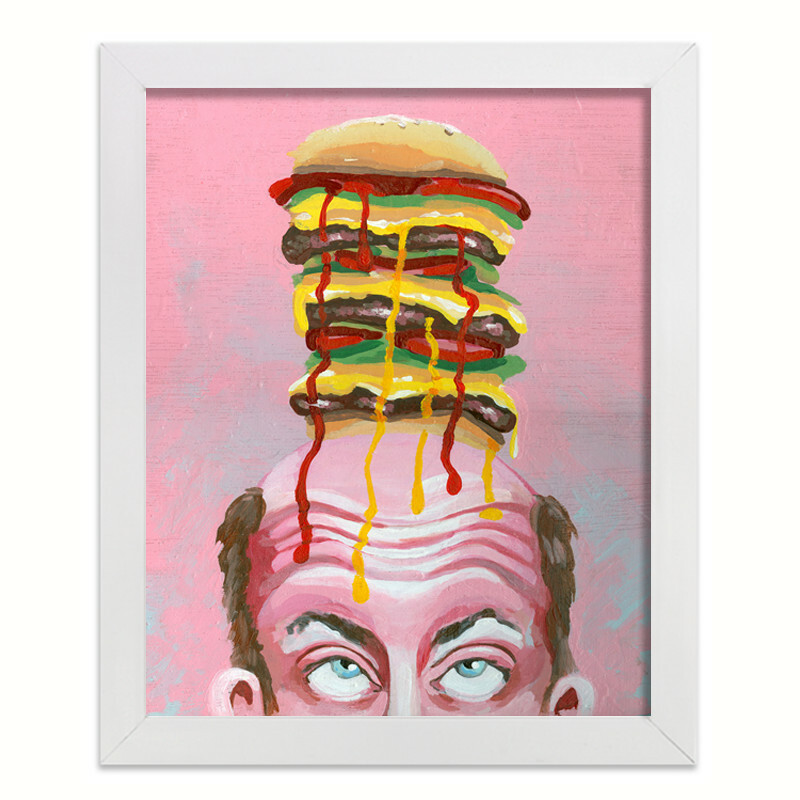 I chose the bold colors and pink background to emphasize the happiness you get once you have received your burger.